It seems as though pet parents are always looking for a way to spend some quality bonding time with their beloved furry friends. These fun pet activities can help you and your pet build a growing relationship and bond together. 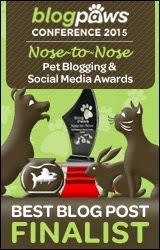 I especially love some of the cat activities in this sponsored guest post. Please enjoy and let me know if you've ever done any of these things with your dog or cat in the comments section! Looking for something different to do with your pet? Is playing “fetch” with your pooch getting old, or is your cat getting tired of chasing after a laser pointer? There are plenty of unique, out-of-the-box activities for you and your pet. Here are some fun and interesting games for pets, divided between dog activities and cat activities. Dog disc – This game of dog/owner flying disc is a challenging and fun activity for both of you. Discs come in a variety of sizes; choose a disc that works with your dog’s size, and make sure it is not too heavy or large for your pup. 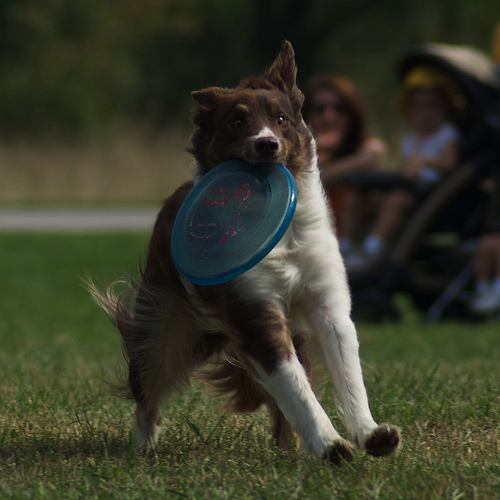 Do not let your pooch chew on the disc as a damaged disc could hurt your dog’s mouth when it catches the disc. If you and your dog are especially skilled at dog disc, consider entering a dog disc competition. Agility courses – Agility courses are obstacle courses for dogs, but they require the dog’s owner to guide the dog through the course. It is a team activity for you and your dog. You can build your own or take your dog to a training center to be trained in a course. To keep your dog safe, make sure it is protected with a pet insurance policy. Dog yoga – This unique owner/pet activity is becoming increasingly popular. See if a local yoga studio or dog training center near you offers dog yoga, often called “doga.” This doggie yoga allows you to help stretch your pup’s muscles as well as your own. Make sure to bring treats to reward and encourage good behavior at the class. 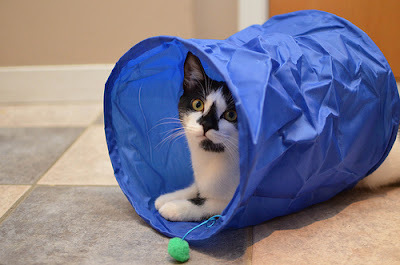 Create a playground – A homemade playground is one of many fun games for pets, especially cats. Make a unique play area for your cat using household items; cardboard boxes and paper grocery bags are great options. Your cat will enjoy exploring the boxes and playing with the crinkly paper bags. Download an iPad game – There are now iPad games created just for cats. One game features a mouse that zooms across the screen. Your cat will try to chase or paw at the mouse on your iPad screen. This could provide hours of entertainment for both of you. Teach a cat tricks – Contrary to popular belief, cats can do tricks, too. They can be trained to come, sit and stay. Training your cat may require a bit more patience than training a dog, but with the right motivation, it is possible. Treats work well as incentives because unlike dogs, cats do not inherently desire to please their owners, and extra motivation in the form of food helps. Play hockey. - Ball up a piece of aluminum foil to create a lightweight “hockey puck” for your cat to chase. Because the foil is light and crushable, your cat will be able to grab it easily (and you won’t have to worry about a heavy ball breaking something in your house). Tip: hard surface floors work best for this game as the foil puck will slide easily across them. After you and your feline are finished playing, make sure to dispose of the aluminum puck. Whether you have a dog or cat, these activities and games for pets guarantee an interesting experience with your furry friend. 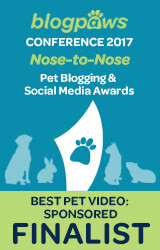 Try one or all of the games listed above and see which ones your pet enjoys the most. Before you drive to the yoga studio or dog training center, make sure you and your pet are protected with an insurance policy. From doing doga to building a kitty playground, you and your pet will explore exciting new games and most of all, have fun. Christina Miller loves to write, especially about business. She holds a B.A. in Marketing. Christina’s favorite things include traveling, reading, and exploring new restaurants in Cleveland. Note: Sponsored content was created and provided by Nationwide Insurance. Excellent ideas!! Thanks for sharing! My dogs are not very good at yoga. They interfere and don't listen and it is not relaxing! LOL! Have a great one. Well, for some reason I see Shiner doing the same thing probably! You're definitely not alone. Sounds great. No dog disc for us. We are working on steady...lol. Hey, well you guys do lots of fun activities! Too bad duck hunting isn't on the list. How cool! You will have to share some pictures! Yike we thought DOGA was a joke. Well we never. Have a terrific Tuesday. I also wasn't sure if it was a real thing or not until recently. I still don't know much about it. I don't have an ipad and still haven't gotten to try one or something similar on any of my cats. Maybe one day! HD...we loves playin hockey heer !!!! I bet you guys are great at hockey! I think I need to revamp my playgound to make it more exciting! you KNOW that Cody just LOVES his iPad! I used to like the ipad games but I'm so over them. I still like my rockets though and my peacock feather. We have a cat obstacle course. I have 3 tunnels, 3 cat trees and a partridge in a pear tree in the living room. OK, maybe not the last part. I like the darts game that you play CK. It's a pretty creative idea. 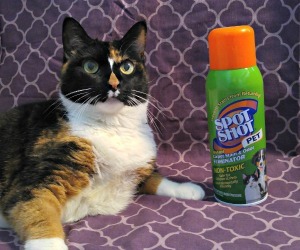 Just DON'T end up like that kitty who ate the foam darts! I'm waaaaay to smart for that. MOL! Great ideas! I would love to do yoga with my girl, and agility activities with my boys! The dog daddy here plays disc golf so he has lots of discs for that. Shiner will destroy those discs if she ever got her paws on them! Some great ideas on this post. Did you know that you can also take your dog to doggie dancing classes? Yes! I just learned about doggy dancing in the last few months. It seems like a pretty interesting thing to try. Thanks for mentioning it Adrian! Aw well that must be pretty cute!